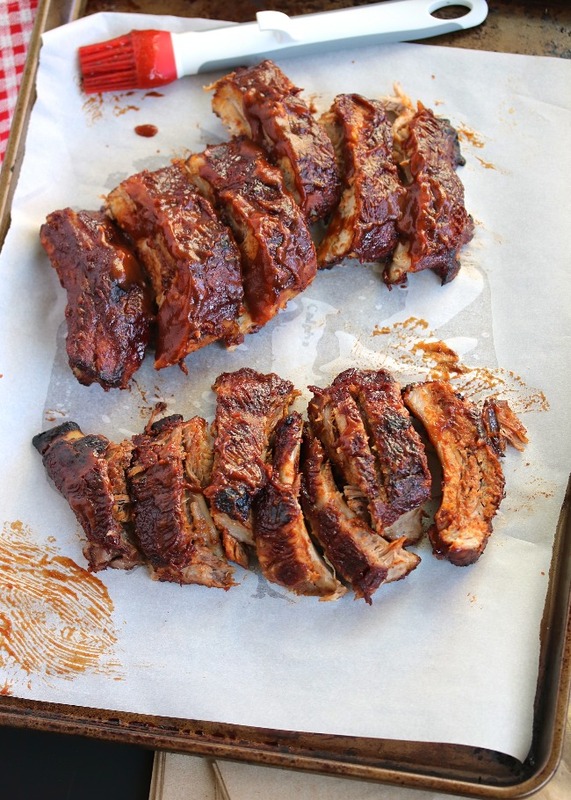 I've always felt like ribs are one of those things that should be left to the pros. Grilling pros. Like the chefs at Famous Dave's, Food Network stars, and my dad. But I decided to take a meat I was afraid of, and prepare it in a way that takes the guess work out of it and doesn't leave your hair smelling like charcoal or grill smoke. 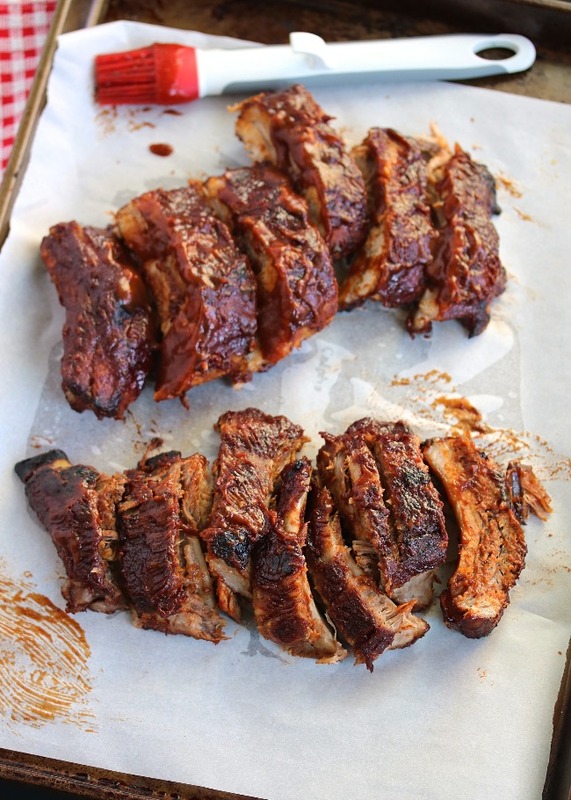 (Also I don't have a grill, so...) These ribs slow BAKE in the oven, and they're the best I've ever had! The one big thing we have yet to add to our home, though, is a BBQ or grill. I guess it just hasn't been a priority because we've never had one. My dad is an amazing grill master and can perfectly cook just about anything on his BBQ, so I guess I've just always felt like we can get our fix when we visit my parents. Ha! Really, though, I think if we got used to having one we might put it to good use. What do you all think? I would love to hear if you have one & which you would recommend. In the meantime, I am a pretty happy girl with my cast iron grill pan (used over the stovetop) for grilling sausages & patties, a cast iron skillet for one-dish meals and steaks & chops, and the oven for just about everything else. 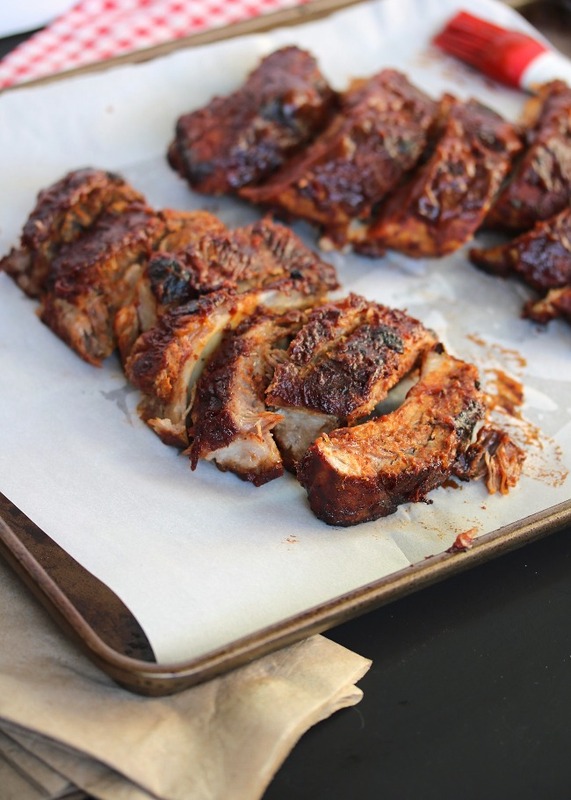 And to be honest- I never thought I would be adding ribs to that list of baked meats. But cooked low and slow, I swear these are the best ribs I've ever, ever had. 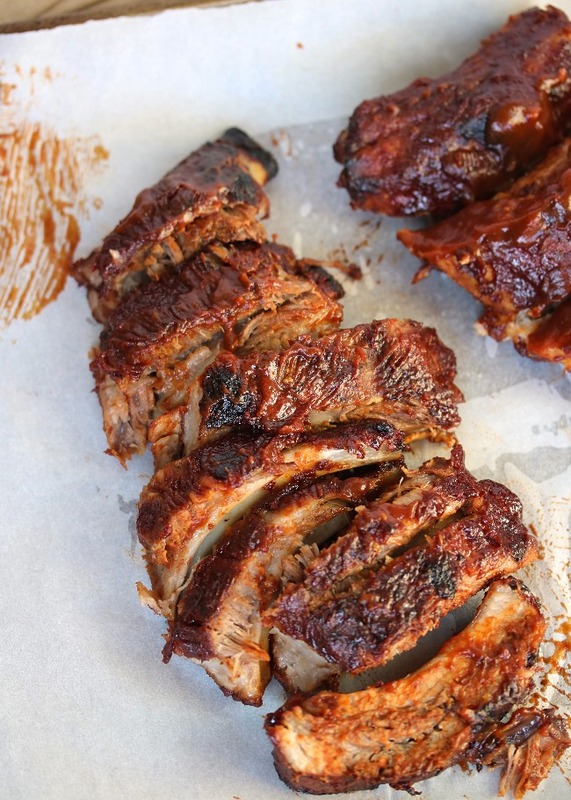 The meat literally slides off the bone- no gnawing and grinding and making a big ol' mess just to get a good bite. These ribs are tender and juicy and with that BBQ sauce? It does not get better! So preheat that oven, and give your grill a rest. 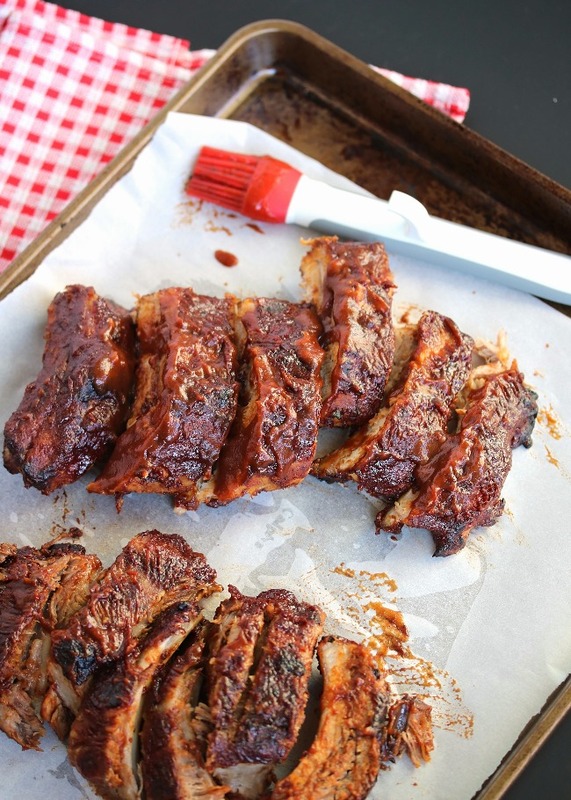 All it takes is some quick prep, and BBQ sauce on hand (or made easy in the blender- recipe link below)- and your ready to kick back and relax, or get going on your to-do list, while the oven does all the hard work for you. Preheat the oven to 275ºF. Line a rimmed baking sheet with foil. Season the ribs on both sides with salt & pepper. 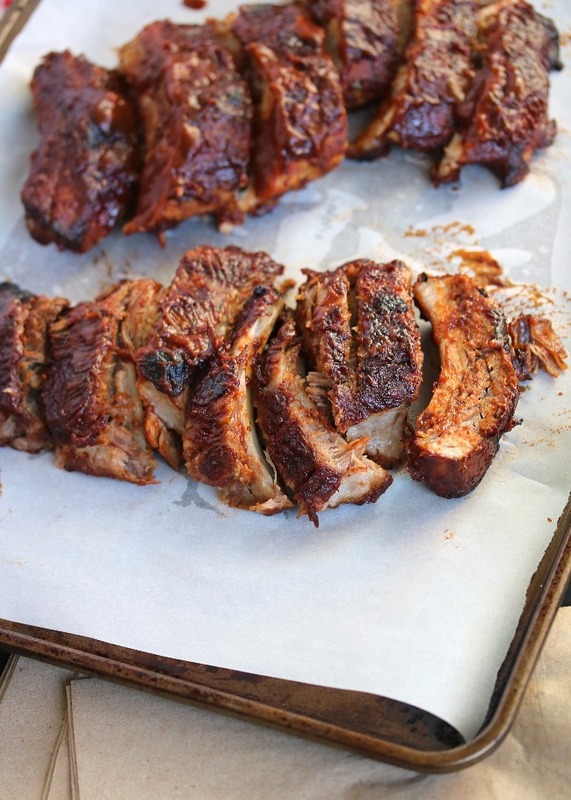 Place the ribs meat-side up onto the lined baking sheet. Cover tight with foil, and transfer to the oven. Bake for 3 to 4 hours, or until juices run clear and the meat is cooked through and easy to pull off the bone. 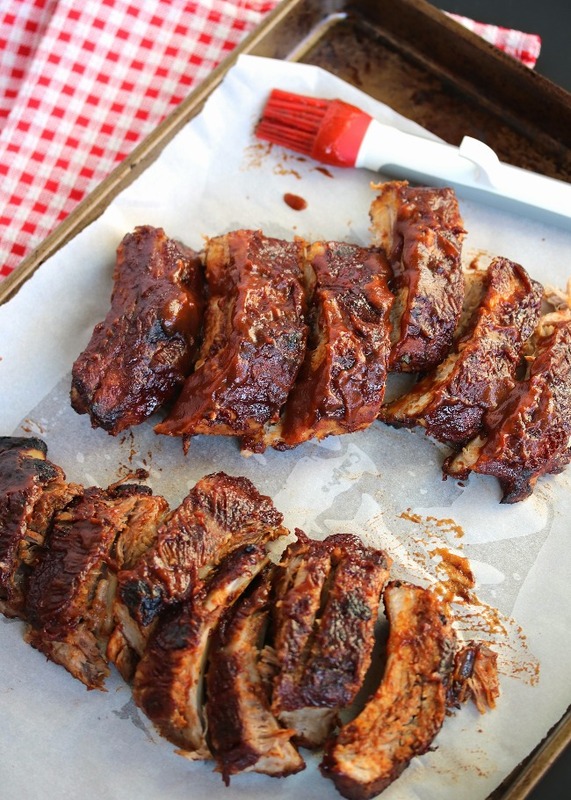 To finish, remove the ribs from the oven, and brush both sides generously with BBQ sauce. Broil for 3 to 5 minutes, until the sauce begins to bubble. I just made these last night and and they were so good! The sauce was delicious. Thank you! I love cooking, so I was deeply impressed with ceramic electric griddle buying guide from Top Electric Griddles. You may visit TopElectricGriddles.com to read more details easily. I would recommend this event space NYC to anyone who is looking for a great spot or place to go and attend an event while eating and trying lesser known things. Prices are very reasonable and the staff is great! I am loving looking through all of your awesome Whole30 recipes! I was wondering what the average serving amount is per recipe? I am trying to meal plan a September Whole30 and really like to utilize leftovers whenever possible.